Welcome to Leaf and Grape’s first annual list for Top 10 Medium Cigars. We decided to do take a different approach with our “Best Of” lists. Instead of publishing one over-all list, we have 3 separate categories based on strength. While we try to be as mathematical and scientific as we can, we realize that rating and ranking cigars is a very subjective thing. Ask 10 people to give you their Top-10 list and chances are you’ll get a totally unique list from each person. That being said and without further adieu, we are pleased to present you with our choices for the Top 10 Medium Cigars of 2012. 10. 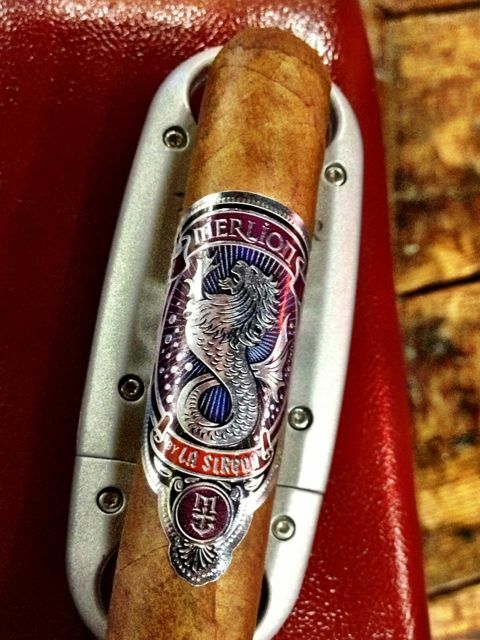 Merlion, by La Sirena - Miami Cigar’s sophomore release of the La Sirena line is an exquisite cigar to look at and smoke. Merlion contains an over-sized band similar to the original La Sirena, but happens to be manufactured at the La Aurora factory in the DR. (the original La Sirena was made by the Garcia family at their Nicaraguan My Father factory) Consisting of six different tobaccos from four different countries, Merlion is a complex cigar with a world of flavor. An Ecuadorian Corojo wrapper covers a Brazilian Sumatra binder along with four different filler tobaccos from Brazil, the Dominican Republic and Nicaragua. Consumers of the Merlion are greeted with an initial blast of pepper and spice that soon gives way to overtones of earth, leather and cedar. This is not a cigar to be consumed quickly as there are many subtle nuances presenting themselves throughout the entire smoke. 9. 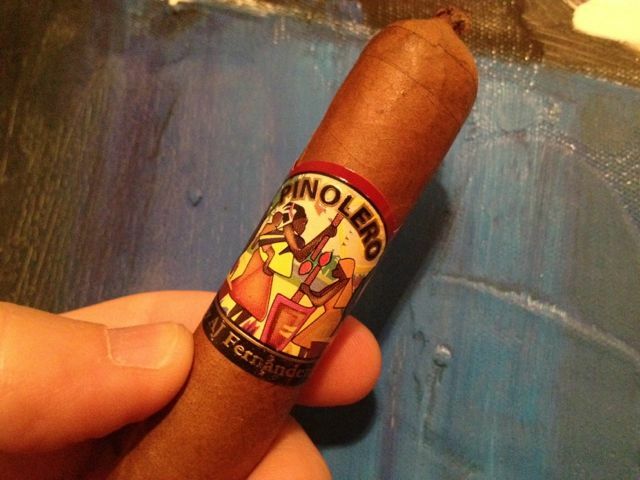 Pinolero, by AJ Fernandez - The word Pinolero is an informal Nicaraguan term used to refer to “the local people” – which makes sense as the cigar itself is an all-Nicaraguan puro. Not much is known about the construction, other than the wrapper is a Nicaraguan Sun Grown, binder also Nicaraguan, and a filler listed as being a “Fernandez family secret.” Pinolero may be a Nicaraguan puro, but the smoking experience is definitely Cuban in nature. Everything from the golden-brown wrapper (reminiscent of a Partagas Serie-D) down to the initial spice flavors that give way to creamy notes of honey, nut and sweet cocoa. With Pinolero, AJ Fernandez has added another rock-solid cigar to his arsenal. 8. 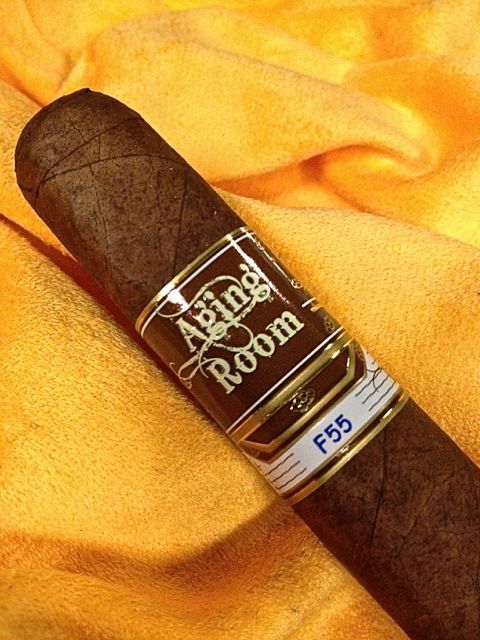 Aging Room Quattro F55 - The Quattro F55 marks the 2nd Aging Room cigar to make our Top-10 lists this year. (the Havao Connecticut was our #10 Light Cigar of the year) This beautiful box-pressed cigar comes with a unique Sumatran wrapper with Dominican binder and fillers. There aren’t a lot of varying flavor transitions with this cigar. However, the flavors of earth, espresso and spice compliment each other perfectly and last the entire duration of the smoke. The Quattro produced a solid-white ash and razor-sharp burn each and every time it was smoked. Flawless construction, great flavors and quality throughout are how I’d characterize this cigar, another home-run by Boutique Blends and parent company Oliveros Cigars. 7. Emilio Draig K Limitado - There was a lot of online chatter and hype about this cigar well before it made its way in to local brick and mortar shops across the country. Draig K is a small batch limited edition line comprised of 1,200 10-count boxes spread across three vitolas - a corona, robusto and toro. Part of what makes this cigar so unique is the Colombian Cubanito Maduro wrapper which is a deep, rich dark-brown color that literally looks like dark chocolate. 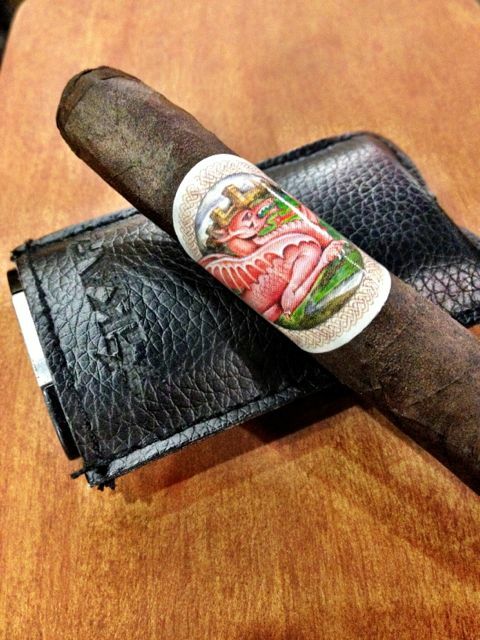 Fillers for this cigar are a combination of Honduran and Nicaraguan tobacco. (binder unknown) Another attribute making the Draig K so unique are the pre-light flavors of herbal tea married with hints of green apple. Upon lighting the cigar, flavors of semi-sweet chocolate and spice complemented the herbal tea nicely. Truly a unique smoking experience, and one we truly enjoyed. I’m not sure how available this cigar will be, due to the limited quantities. However, if you happen to stumble across Draig K during your travels – be sure to pick up a few. Trust me when I say you haven’t tasted anything like this before – a real treat! 6. 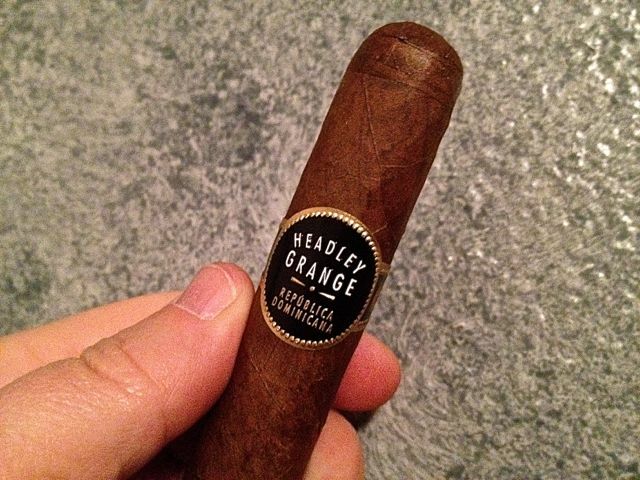 Headley Grange by Crowned Heads - Another cigar with high expectations heading in to 2012 was Headley Grange, by Crowned Heads. Riding on the wings of the ever popular Four Kicks debut, this cigar needed to deliver big in order to avoid that proverbial sophomore slump. Well, I’m here to tell you Headley Grange not only avoids the sophomore slump – but in my opinion, it surpasses Four Kicks. I’m not exactly sure what John Huber and Ernesto Perez Carrillo have been doing. But whatever it is, its working. This cigars comes in a slightly rounded box-press shape with an Ecuadorian Sumatra wrapper that covers all-Nicaraguan binder and fillers. We found this cigar to be highly complex – from the pre-light flavors of barnyard, hay and cinnamon to the spicy, woodsy core that displayed hints of citrus and honey. As for aesthetics, this cigar produced a gorgeous white ash and razor-sharp burn each and every time. 5. Undercrown Corona Viva - Undercrown was seen as a huge success last year – both on the retail side of the fence as well as with the cigar media and blogger community. With that type of success under your belt, some would question the wisdom of changing the blend for a “viva” version of an already successful line. 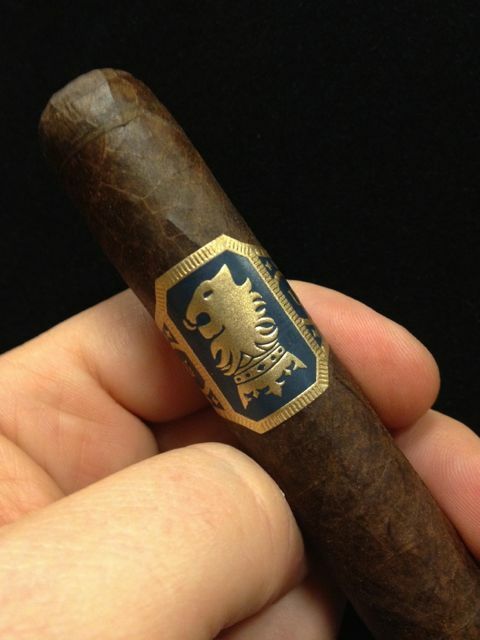 But that’s just what Steve Saka and the folks at Drew Estate did – and the result is an even better Undercrown. In Viva, you still have a cigar with a core inner sweetness that mixes nicely with leather and earth. You also have a cigar that continues to produce copious amounts of smoke with each puff. However, Viva also brings a little more pop to the table in terms of strength. Like its predecessors, Viva comes in a Mexican San Andres wrapper, Connecticut Stalk-Cut Habano binder (same leaf that’s used for the T52 wrapper) along with Brazilian Mata Fina and Nicaraguan fillers. 4. MyFather Flor de las Antillas - During our trip to Nicaragua back in late March, we had the honor and privilege of touring the My Father factory in Esteli. During the tour, Don Pepin Garcia handed out un-banded version of this cigar – and from the very first puff, I was hooked with its elegant construction and warm, rich flavors. Unlike many MyFather cigars, Antillas does not greet you with Pepin’s signature pepper blast. Instead, this cigar is more refined and elegant with its flavor presentation. The perfect medium to compliment any part of your day. This Nicaraguan puro consists of a gorgeous reddish-brown Sungrown wrapper coupled with Nicaraguan binder and fillers. Consumers of this cigar will be greeted with an impeccable effortless draw and warm notes of coffee, espresso and brown sugar. 3. CyB, by Joya de Nicaragua - The introduction of this next cigar hit the streets under the name Cuenca y Blanco and was later changed to simply CyB. This cigar is a vast departure from anything previously created by Joya de Nicaragua. A collaboration between JdN president Dr. Alejandra Martinez Cuenca and senior vice president Jose Blanco this cigar contains tobacco from Nicaragua, Dominican Republic and Peru. Wrapped in a medium reddish-brown Ecuadorian Habano wrapper, CyB comes with a Dominican Pilato Cubano binder and fillers from Esteli, Ometepe and Peru. CyB’s flavor profile can be described in one word, complex! Flavors seemed to transition in and out with every other few puffs. Initial flavors include mild pepper, sweet cedar and coffee. Soon rich and creamy notes join in the chorus and really bring this cigar to life. What struck me most about CyB is that I didn’t really have to “search” for a flavor, they all simply waited their turn and presented themselves as just the right time…pure enjoyment. 2. Ortega Serie D Maduro - In my opinion, Eddie Ortega is the man responsible for bringing Mexican San Andres wrapper to the forefront. Anyone who remembers Murcielago will know what I’m talking about. Yep, that was Eddie under he and Eric Espinosa’s EO brand. But that was then and this is now. 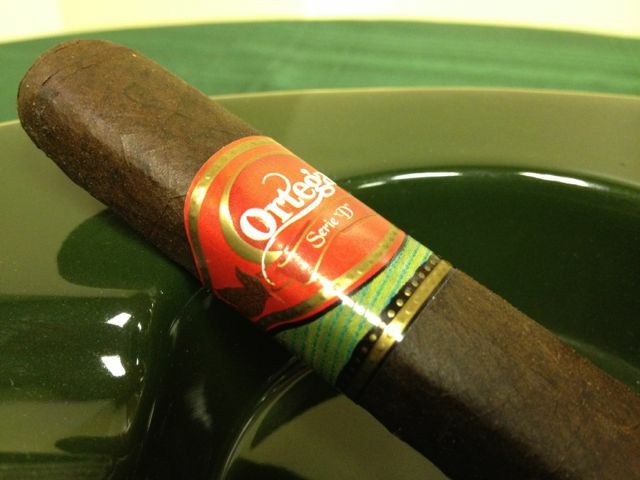 Fast-forward to late 2011 early 2012 where Eddie launches his own Ortega brand – again partnering with Don Pepin Garcia. The Serie-D Maduro is a gorgeous, dark-chocolate brown, box-pressed cigar that comes packaged in small 10-count boxes and are simply a chewy looking display of richness. We first had this cigar way back in February/March. Since that time, I’ve had a hard time keeping my hands off of them. Made at the My Father factory in Nicaragua, the Serie-D starts out with a little blast of pepper and spice that is more subtle from other Pepin cigars. These spicy pepper notes soon give way to rich espresso, semi-sweet chocolate and mild exotic spices. This box-pressed Madura looks meaner than it smokes – with rich, full flavors keeping things dialed in at the medium strength category, never overpowering the consumer. From a perfect draw to the potpourri of flavors, this is one cigar that keeps delivering time and time again. To Eddie I simply say, welcome back! 1. Viaje Friends and Family - When you think of small batch, limited release cigars here’s always one name that seems to be atop the list – Viaje. The Spanish word for “Journey”, Viaje seems to always bring excitement to the marketplace with each and every release. 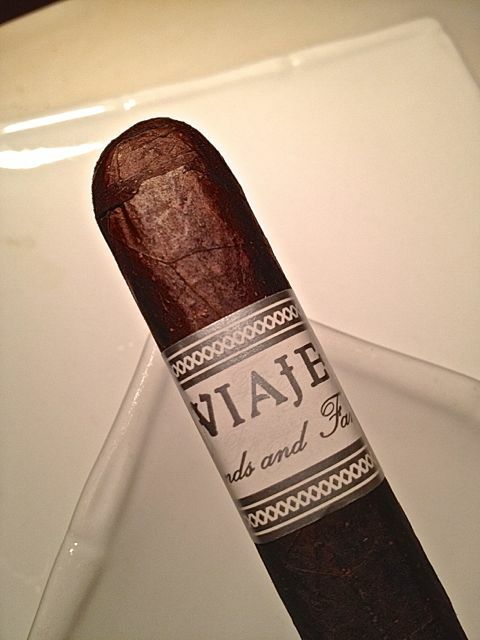 For me personally, Viaje has been somewhat of a hit or miss when it comes to appreciating the entire line. That being said, there are a handful of Viaje offerings that I’d put up against any cigar in the world – this Friends and Family happens to be one of them. The cigar comes in one size and shape – a 7×48 box-pressed Maduro and actually started out as Andre Farkas’ personal blend. As the name indicates, the blend would be shared by Farkas with his personal friends and family. It wasn’t until later that Farkas decided to make the blend available to the public in typical Viaje limited release fashion. Unfortunately, the composition of this blend is unknown as Farkas prefers to keep things under wrap for now. Our speculation is that the cigar is either a Nicaraguan puro, or contains tobacco predominantly made from Nicaraguan farms. (as is the case with most Viaje offerings) In terms of flavor, this cigar brings a lot to the table. Sweet hints of caramel can be found throughout the entire smoke. These sweet notes blend in perfectly with espresso, cocoa and mild spices that seem to lean more towards nutmeg and cinnamon than anything else. The draw was phenomenal and the burn remained cool all the way down to the nub on each and every cigar. The biggest knock I have on this cigar is its extremely limited quantity. 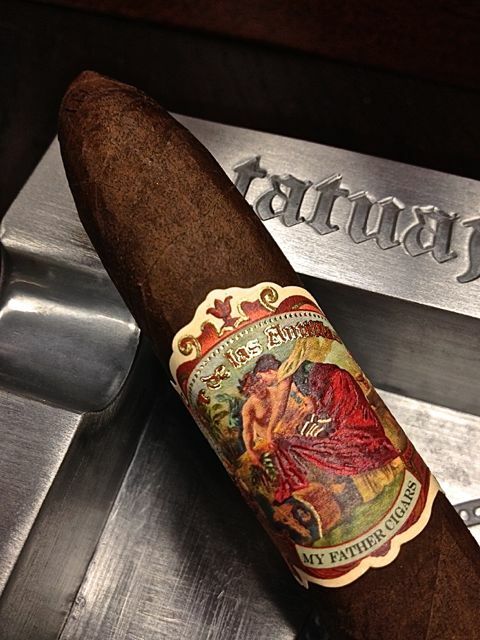 If you happen to walk in to a humidor and see this cigar on the shelf – grab as many of them as you can. Trust me when I say, you will not be disappointed. This entry was posted in 2012 Top Cigars, Aging Room, AJ Fernandez, Best Of, Crowned Heads, Drew Estate, Emilio, Joya de Nicaragua, La Sirena, Medium, Miami Cigar, MyFather, Ortega Serie D, Viaje and tagged Aging Room, AJ Fernandez, Crowned Heads, Drew Estate, Emilio, Joya de Nicaragua, La Sirena, Merlion, My Father, Ortega Brands, Viaje by Stace Berkland. Bookmark the permalink. Great idea, Stace. A lot of great cigars on this list. I look forward to seeing your other lists! Thanks Doc, I appreciate the support and kind words. 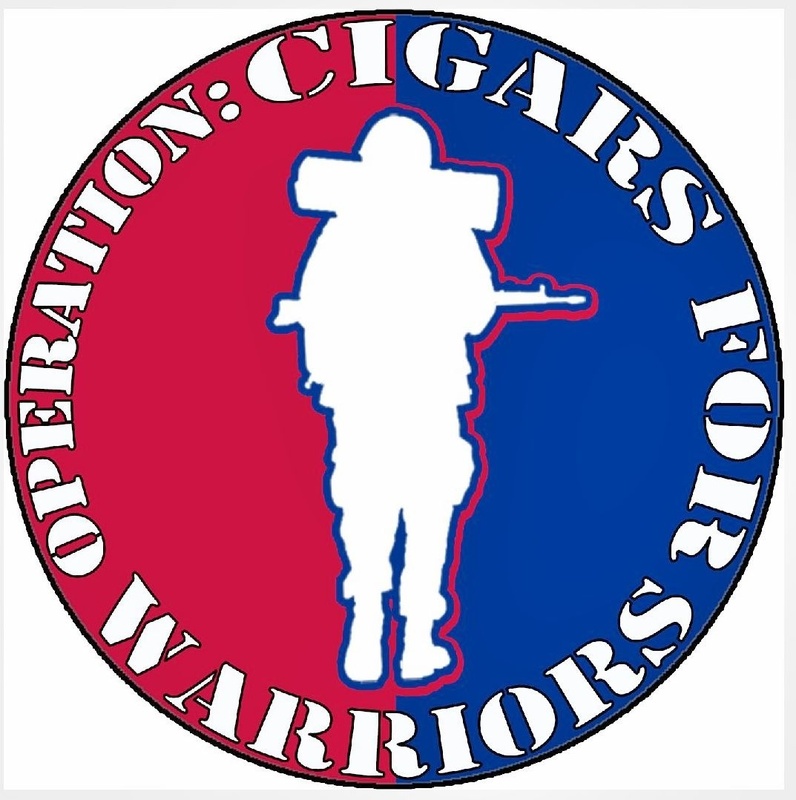 Hey, I need to get some info from you on the upcoming cigar/wine fest – cheers!